The article is the first in a series from the publication about young adults who actively participate in organized religion despite a downward trend in religious participation from others in their age group. 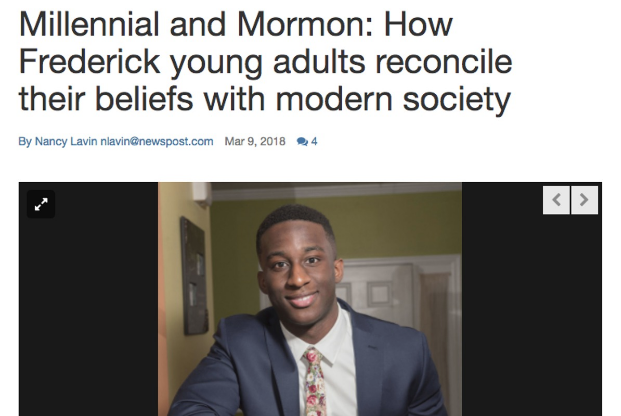 The author described her impressions at an LDS sacrament meeting in which Moroni Okonah, 18, spoke with conviction and intensity in a talk he gave before leaving for a full-time mission to California. Other young single adults shared their experiences with answering common questions about Mormons — including polygamy, Joseph Smith and garments — and their thoughts on finding an eternal spouse. Jade Spencer, 26, talked about the benefits she has found to surrounding herself with peers of other faiths.